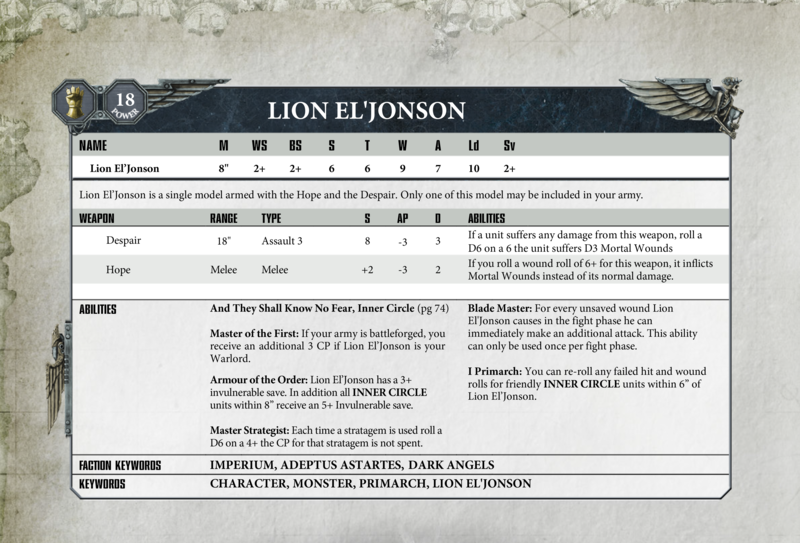 Wargaming Forum and Wargamer Forums > Wargaming News, New Releases and Information > Wargaming News and 40k Rumors > A real datasheet for the Lion? Spotted it in this thread over on B&C. Its remarkably alike the leak that got dissed a while back. What do you folks think, fake or could it be real? Hopefully it’s real. He is literally the #1 most anticipated thing for me. It looks legit to me. Seems another questionable datasheet is making the rounds. Also spotted this one over on B&C. 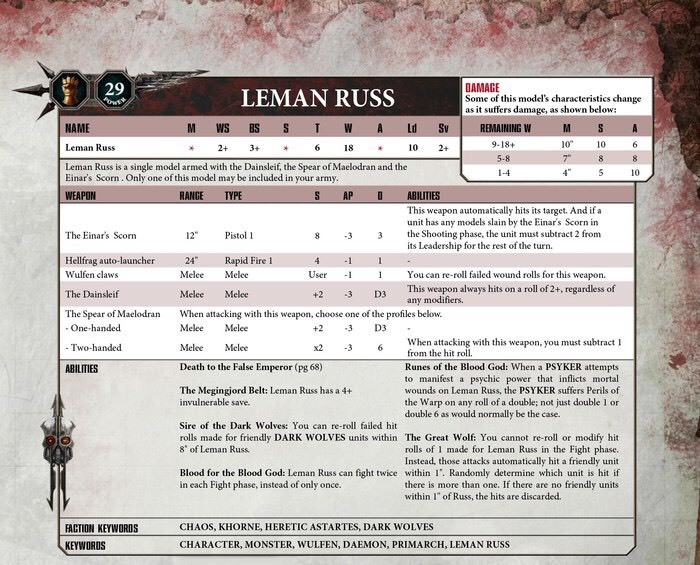 Im personally calling BS on this one, as that would give Khorne 2x daemon primarchs. This would be damn interesting though. It's probably fake but I won't dismiss it immediately as GW have surprised me before. Well I remember reading that GW stated that Russ never had the wulfen issue himself. But then you could say the warp did it, khorne does love canine monsters. And I remember reading that the space wolves in a hunt for Russ, found his armor in a chaotic shrine. Could there be more truth to that blurb than we imagine? But this certainly would play into the rumor of a loyalist going traitor, and a traitor going loyalist. Even if i think noone would expect Russ to turn as he was the most loyal of them all. Perhaps thats why he might be targetted to be the one turning? Who knows.